I am digging these upcycle projects lately! This one was really easy, and like my last upcycle project it didn't cost me a dime! Until last night my master bedroom wall had been barren. I knew it needed something, I just didn't know what. Trying to keep consistent with my shabby chic theme throughout the house, I remembered seeing a book page wreath on Pinterest and really liked that. But, of course, I wanted to make it different, something I could call my own. I remembered my mother-in-law had given me this adorable mirror, and I had yet to find a spot for it in our house. 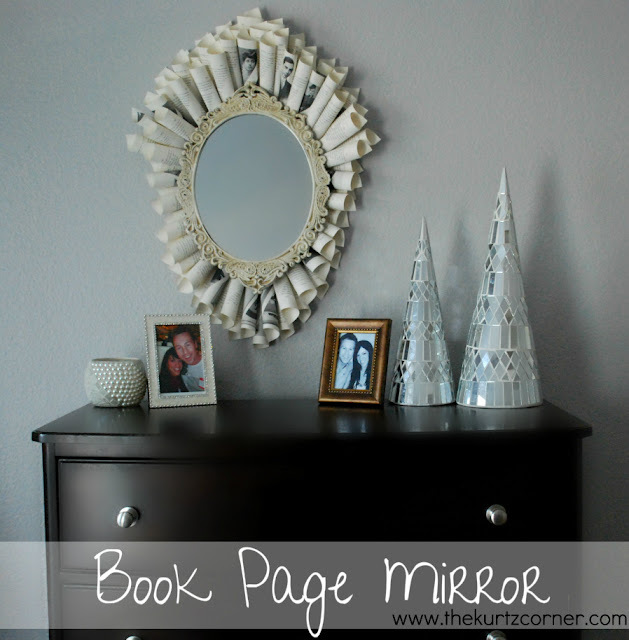 Bingo, the Book Page Mirror was born! Start by cutting the cardboard in to the shape you want. I used the mirror as my template, giving it an additional inch boarder, not the exact size of the actual mirror. Next, tear out the pages from your book and roll them into a cone shape. Don't worry about ripping them perfectly, I promise you won't see the edges once they are rolled. Flatten the small end of your cone, not the whole cone, and hot glue the flattened end so that it stays rolled. You will then glue the flattened part to your cardboard template. Create the shape you want, I made a sort of cat eye shape for mine with a larger top. There's no science to it. Just glue the cones where you think they look good! 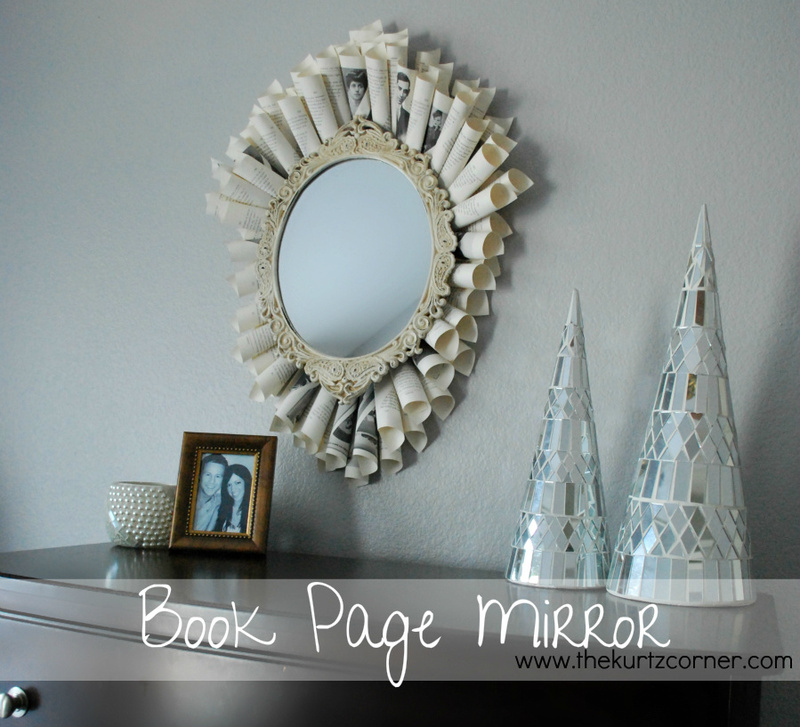 When the pages have all been glued and you are satisfied with your shape adhere the mirror to the cardboard. I used a small Styrofoam piece between the mirror and the cardboard so that it wasn't perfectly flush. Depending on how you plan to hang it will determine how you adhere the mirror. Luckily, my mirror had a chain, which meant the cardboard didn't have to support the mirror, otherwise the hot glue would have not been strong enough to hold it and the mirror up. If your mirror has a hanger on the back you could easily cut a hole in the cardboard before gluing it together. This will leave the hanger exposed and you can use it to hang on the wall. Ta-da! Simple right? And the best part? You probably have all of these materials just waiting to be used! Now I just need the old book pages ... this mirror is SO cool!! I love that little mirror! LOVE this! So original and sweet. I love that detail around the mirror and that the book pages have black and white photos exposed because of the way you rolled the paper. Awesome diy! Thanks for sharing. This book page how-to looks great! We'd love to feature it on CraftFoxes.com as a how-to. Interested? Feel free to email me at bethany@craftfoxes.com for more info. Came over from Happy Hour - love the unusual shape of this. the mirror is great! Oh wow, that's fantastic! I love how you arranged the papers around the mirror too. Great look, thank you for sharing your mirror at A Crafty Soiree! this is absoutely awesome! now i want to do one! This turned out great. I love how you let some of the faces on the pages show through. Great job! this really makes it so much more of an impactful piece because of the larger scale it now has. great job! That turned out just beautiful - loving it! Really cool idea and design! I love this mirror. It came out great. 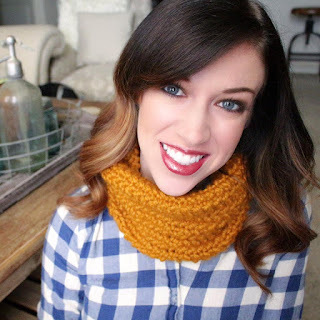 Thank you so much for linking with my Wednesday Adorned From Above Blog Hop last week. I have listed your posting as one of my featured links for this week. I love the mirror. This is such a great idea!